It was great to watch, not least because I loved the speaker’s Australian accent, since I miss living Down Under. (It’s only been ten years, haha.) But the main reason the video was great, obviously, was the heartfelt stories that Jennie told about her daughter, Mala, and the journey they’re on as a family because of Mala’s disability. She talked about the things she has learned about disability and the shift she’s gone through. “Slowly I came to realize the importance of dreams. So I need to make sure my girl knows she’s loved, just how she is. And that she’ll be supported to follow her dreams, no matter how large or small. I also need to help her be able to communicate those dreams. “And I now have the same dreams for my daughter as I do for my son. The way to live those dreams might be different, but the dreams themselves aren’t: Happiness. Health. Growth. Education. Travel. Meaningful employment. Community contribution. Friends. Family. Love. Home. Belonging. 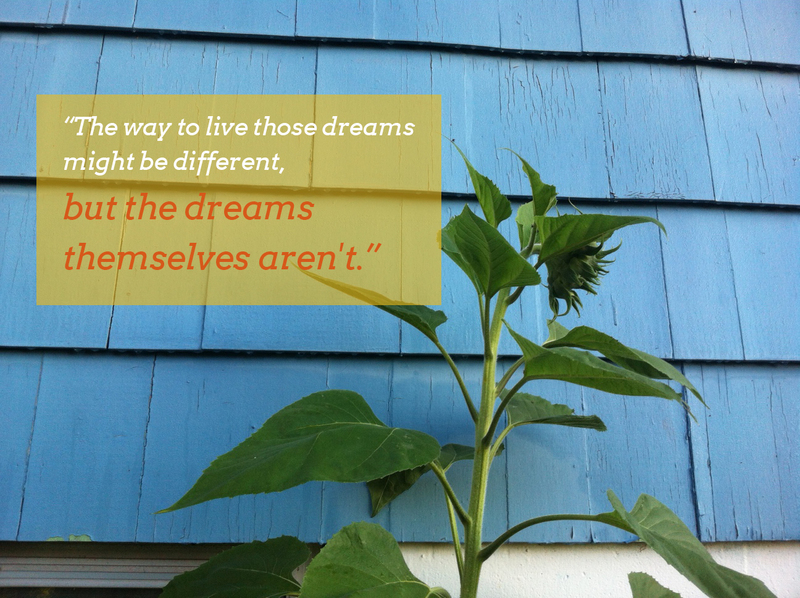 This entry was posted in Community, Leah's thoughts, Love, Women + kids and tagged Disability, Dreams. Bookmark the permalink. Wonderful post! Everyone lives their dreams in the way that works for them.